2011, the year of MORE. What is a New Years resolution you or a friend have made that was completely unrealistic? How did it turn out? What other goals have you set for yourself (or have others set for you) that were impossible to achieve? How do you respond when faced with an impossible task? What seemingly impossible spiritual goals or tasks would you like to accomplish? Why do they seem so difficult? Read Proverbs 14:15. What do you think this Proverb means? How can one be thoughtful of the steps they take in life? Why is this important? Give some examples of people who haven't been thoughtful about the steps they took in life. What were the results? What are some other biblical principles or verses that talk about the steps we take in life? Do you think it's true that every step we take makes us nearer to or further from God? Why or why not? Talk about the following spiritual goals. Which seems easiest? Which seems most difficult? Why? 1. Be someone who lives like Christ and loves like Christ. 2. Be someone who is generous with the resources God has provided. 3. Be someone who is constantly inviting others to meet Jesus. Instead of focusing on the great leap required to accomplish these goals, think about the steps you might take to help you move in a direction toward these goals. What is a step you can take this week to help you be more like Christ? What is a step you can take this week to help you be a more generous person? What is a step you can take this week to help you be a more inviting person? 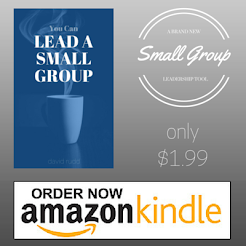 How can this group support you as you seek to become MORE Christlike, generous, and inviting?